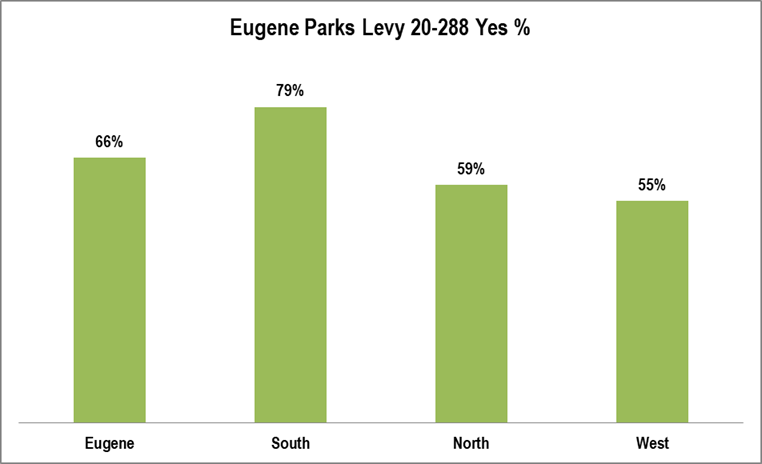 The regional pattern is the same as the Parks Levy, only the voting by was lower in each region. 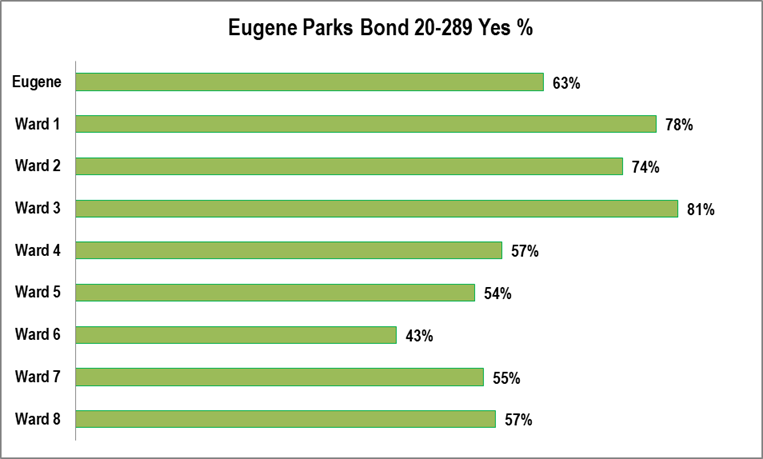 South Eugene is the most favorable region of the city and Ward 6 is the least favorable. 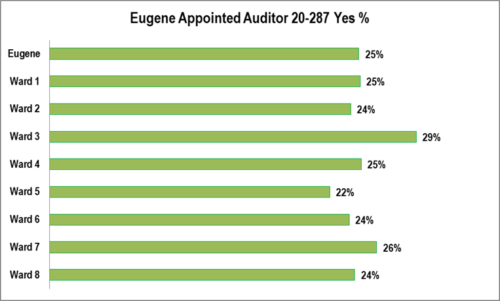 The pattern is the typical pattern for City of Eugene measures. 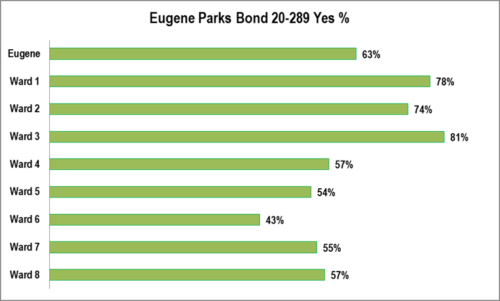 South Eugene is the most favorable region of the city and Ward 6 is the least favorable. 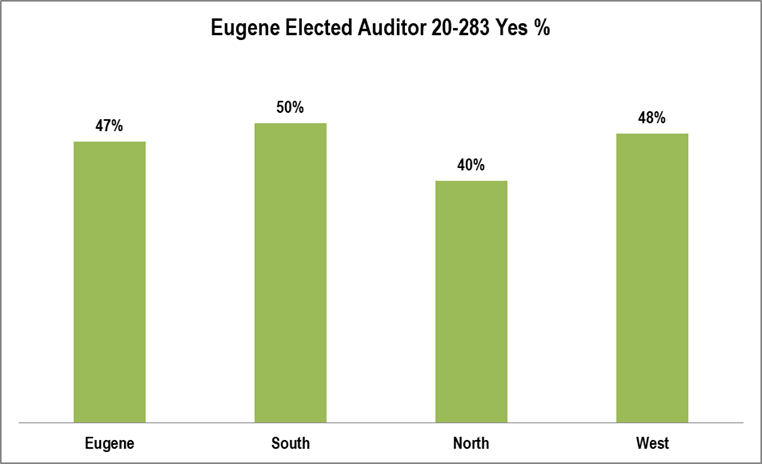 The measure started under 50% and roughly in a dead heat with no votes. 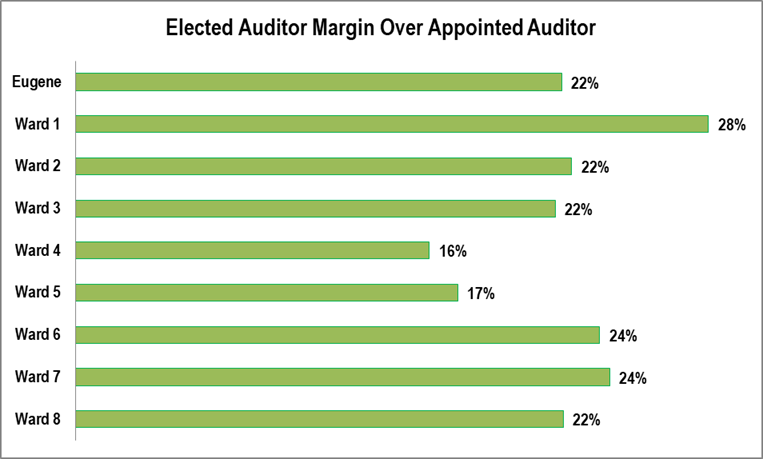 After the ballots were mailed, however, it started to pull away. 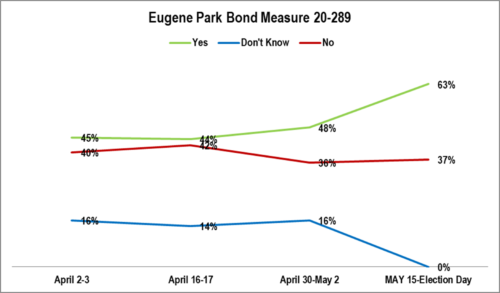 QUESTION: City of Eugene Measure 20-289 Bonds to Fund Parks and Recreation Facility Projects: Shall City of Eugene fund park and recreation projects using $39.35 million in general obligation bonds? 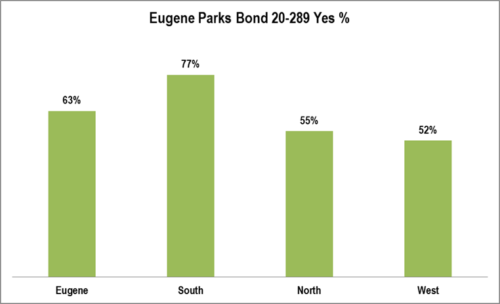 If the bonds are approved, they will be payable from taxes on property or property ownership that are not subject to the limits of sections 11 and 11b, Article XI of the Oregon Constitution. 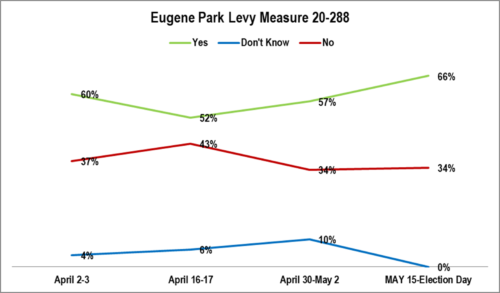 METHODOLOGY: 200 live telephone interviews of likely City of Eugene 2018 Primary voters were conducted each of April 2-3, April 16-17 and April 30-May 2, 2018. 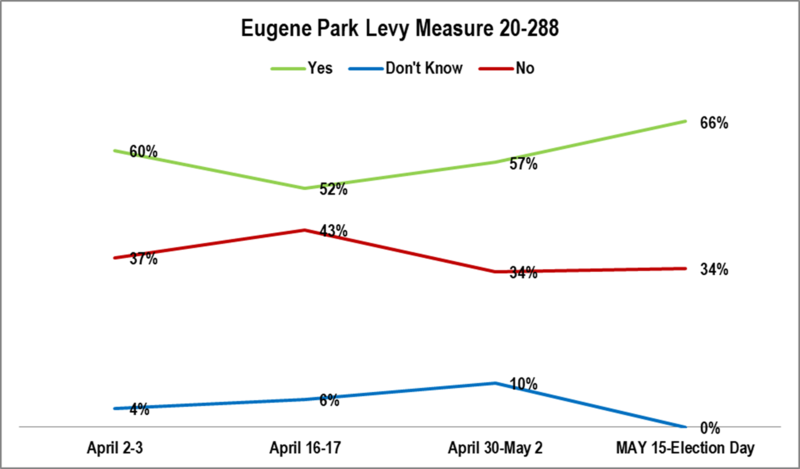 The margin of error for each survey at the sample median is plus or minus 7%. 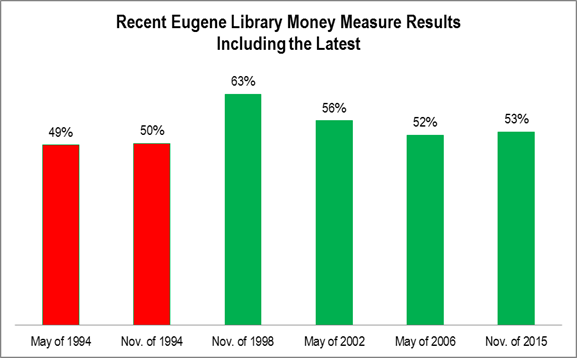 The measure never trailed and support exploded after the ballots and voters’ pamphlets were mailed. 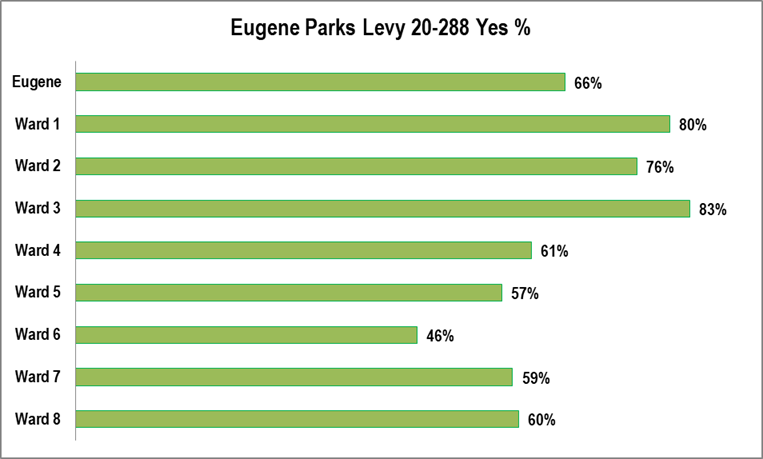 QUESTION: City of Eugene Measure 20-288 Five-Year Parks and Recreation Operations and Maintenance Local Option Levy: Shall Eugene levy $3,150,000 per year for five years beginning July, 2018, for parks and recreation facilities operation and maintenance? This measure may cause property taxes to increase more than three percent. There appears to be strong support for a Eugene auditor in some form. This blog has chronicled how Eugeneans see many problems in the city that remain unaddressed. 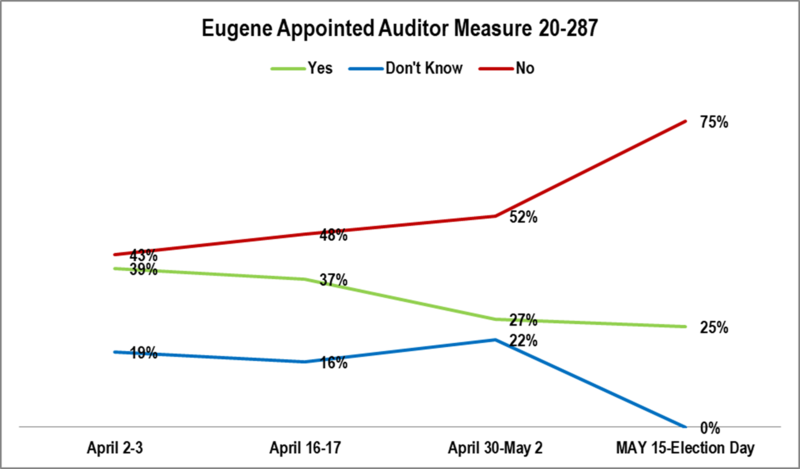 This question was asked prior to the campaign and the collapse of the two auditor measures’ support. It is possible this is biased upward. However, a sizeable percentage of people voiced support here who supported neither measure. 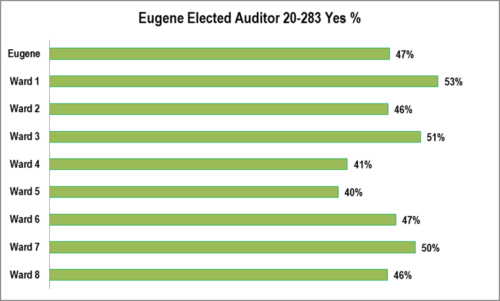 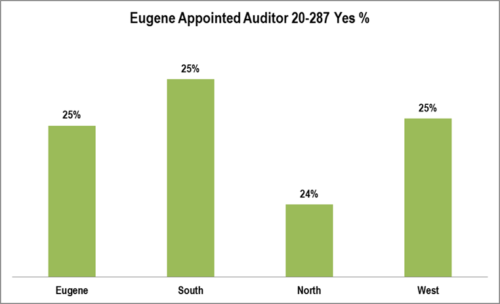 QUESTION: Regardless of your opinion on the two auditor measures, in principle do you support or oppose the creation of an auditor for the City of Eugene? 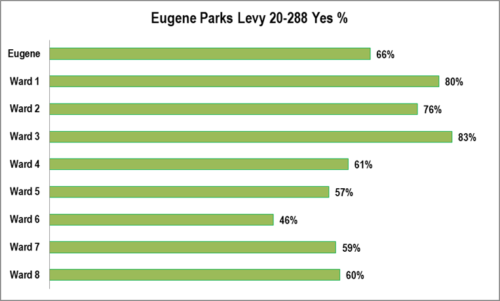 IF SUPPORT/OPPOSE: Is that strongly or somewhat? 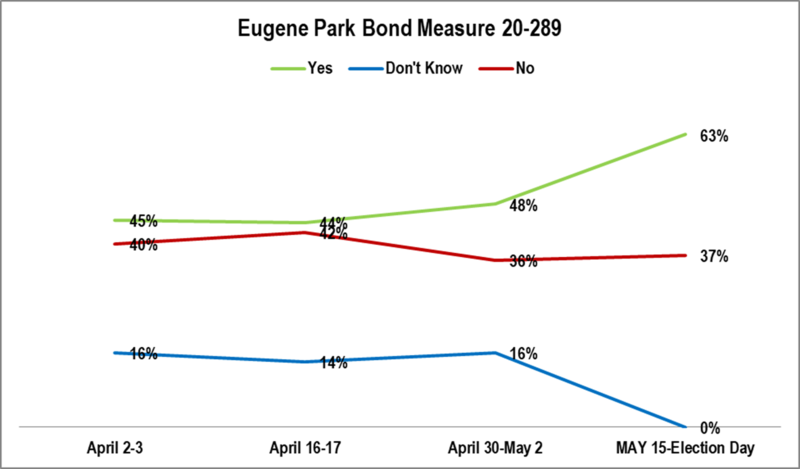 IF DON’T KNOW: Which way do you lean? 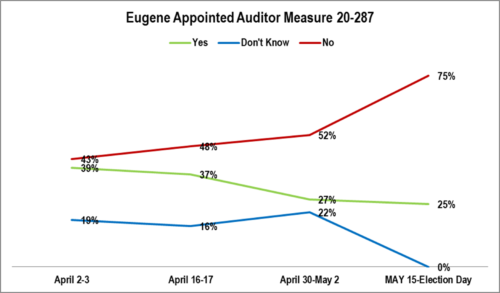 METHODOLOGY: 200 live telephone interviews of likely City of Eugene 2018 Primary voters were conducted April 2-3, 2018. The margin of error at the sample median is plus or minus 7%. 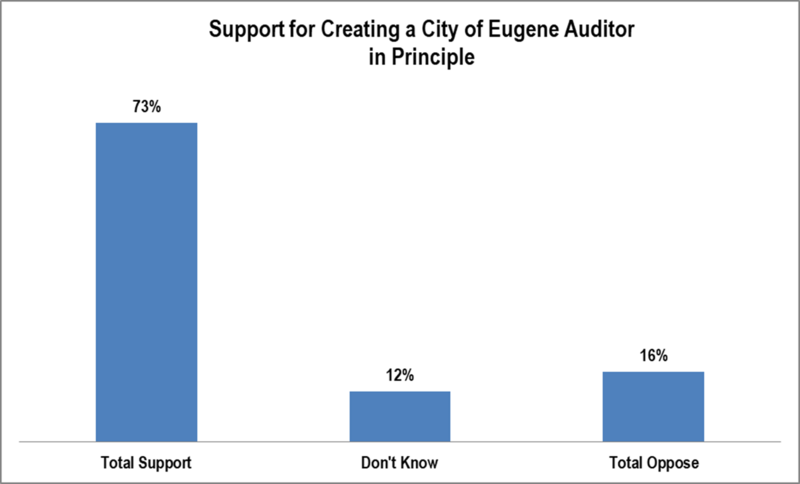 Support for the appointed auditor, the city council proposal, never came close to 50%. QUESTION: City of Eugene Measure 20-287 Amends Charter: Establishes Council-appointed performance auditor, audit review board: Shall City Charter be amended to require City Council to appoint a performance auditor to audit city activities?